Want to be inspired to read aloud more to your kids? 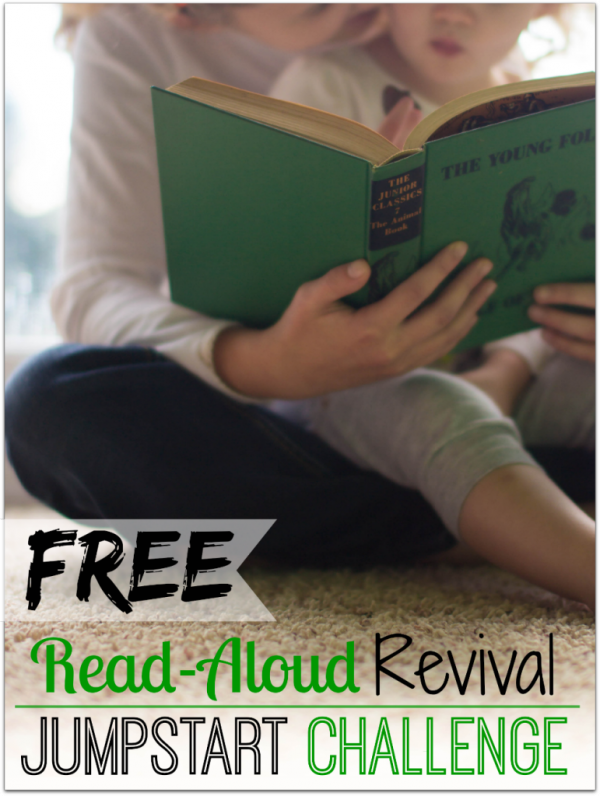 Sign up for a free Read-Aloud Jumpstart Revival Challenge. Can you give any information on what you receive when you sign up? I’m really hesitant to sign up for yet another thing that is going to result in more email in my inbox, especially without knowing what it is first. Hello, every time I go to sign up for it, it says page not found (after I put my email and name in and it starts to refresh). Should I just keep trying? Eeeeek! Something crazy happened with my form this morning. Sorry about that! Try one more time and it should work now. Thank you for taking the time to let me know what I’d be signing up for! I truly appreciate it. Excited to dig into to the material you seny me! Excited to have found more audio listening for myself !